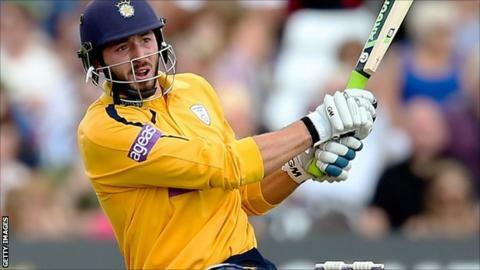 Hampshire batsman James Vince will not now be joining South African provincial side Dolphins as their overseas player for part of their domestic season. The 23-year-old was hoping to link up with Hampshire coach Dale Benkenstein in Durban for the first part of their domestic season. However, Dolphins have decided to stick with the players they have. Vince is currently training with the England performance programme ahead of a trip to Sri Lanka before Christmas. It could lead to a place in the England Lions squad for their eight-match tour to South Africa in January and February next year. Vince scored 2,065 runs in all competitions for Hampshire in 2014 and was an integral part of the promotion-winning side that won Division Two of the County Championship.